The Second Saturday Maker’s Market is a weekend long shopping experience featuring our local artists and artisans. 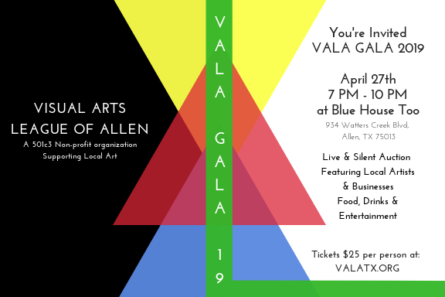 It is part of a larger vision to support local artists who help to inspire a culture of creativity and positivity in Allen and neighboring cities and communities. The Allen Arts Alliance announces Florescence: The Process of Flowering, the 2nd annual collective show featuring our talented local artists. The show is created and curated by the members of the Visual Arts League of Allen (VALA).